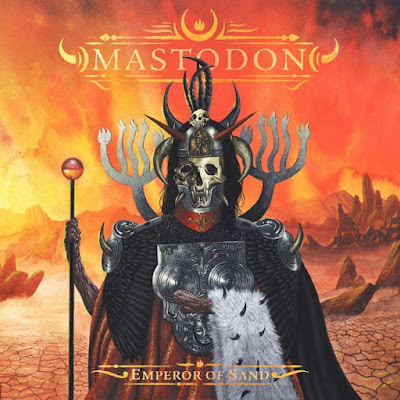 Atlanta rockers Mastodon will release their seventh album, “Emperor Of Sand”, on March 31, according to a listing in Apple's iTunes store in Australia. The 11-track project was recorded at the Quarry in Kennesaw, Georgia with producer Brendan O’Brien. The band shared a series of cryptic video teasers for the album this past week with one featuring vocalist/guitarist Brent Hinds discussing how he spent a month inside the moon recording his guitar parts for the follow-up to 2014's "Once More 'Round The Sun." The band have just launched a website with a 360-degree view of the cover artwork and a snippet of audio of the lead track, "Sultan's Curse." Mastodon will launch “Emperor Of Sand” with a spring tour of North America; the 6-week run with Eagles Of Death Metal and Russian Circles will begin in Missoula, MT on April 14.